The ad industry has rejected MPs' calls for stricter advertising restrictions to tackle childhood obesity, and instead called on the government to target long-term behavioural change. The reaction follows a health select committee report published this week that recommended more stringent rules around the marketing of food high in salt, sugar or fat, and sugary drinks. 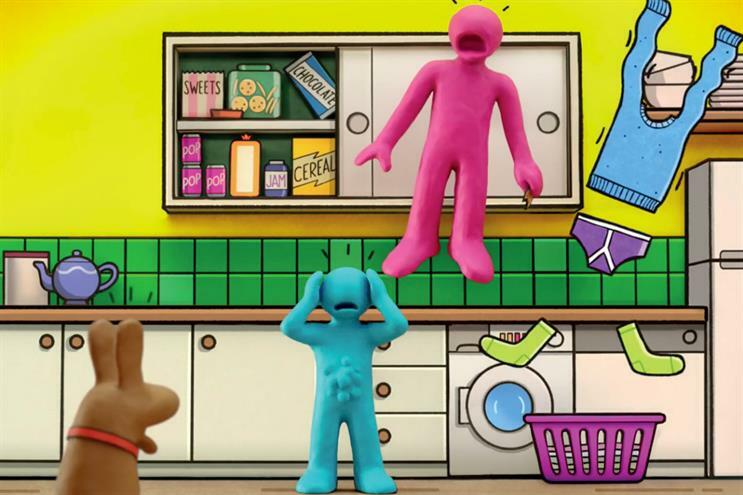 Advertisers proactively changed the rules around broadcast ads last year, working with the Committee of Advertising Practice to tighten non-broadcast rules around marketing HSSF food and drink to children. But ISBA questioned whether more red tape would be effective. Ian Twinn, its outgoing director of public affairs, said that ad restrictions "will not deliver thinner and fitter children or adults". He added: "We remain ready to work with government to help bring about long-term behaviour change. At the moment, there still appear to be mixed messages coming from all kinds of groups, and these do not help persuade consumers to change their long-term lifestyles." The Advertising Association also reiterated that the effects of advertising are small. AA communications director Ian Barber said: "We’re arguing for an approach led by evidence. The committee’s view is that we should be doing anything that might have an effect, regardless of evidence and potential damage to businesses." The report praised the new rules introduced by CAP that will take effect this July, but quoted The Children Food Trust’s conclusion that "the requirements still fall short of what we and many other campaigners had called for to protect children’s health". The trust pointed out that HSSF food ads will still be allowed in cinemas, online, in print or at events where fewer than a quarter of the audience is judged to be under the age of 16. MPs proposed that all advertising of foods high in fat, salt and sugar content be restricted to after 9pm. However, a senior ad executive said this report failed to demand that Google and Facebook should also be called to account. According to Jo Arden, chief strategy officer at MullenLowe London, adland could also do more to change how people talk about healthy lifestyles without waiting for the government. "Brands have a role to play in shaping the conversation around what constitutes healthy ingredients and a healthy portion," she said. MPs also recommended that CAP forbid the use of child-friendly characters created specially for brands. This is currently permitted, but the use of celebrities and licensed characters to promote HFSS foods will no longer be allowed from July. However, another senior advertising executive said banning brand mascots would be very challenging for the industry. "Snap, Crackle and Pop, Honey Monster, Tony the Tiger – these brands will all be very impacted," he said. "Giving up their mascots will be the hardest for advertisers." CAP’s response to the report’s recommendations was that TV rules already contain strict content and scheduling restrictions on HFSS advertising. It said: "The intended effects of the rules [to reduce children’s exposure to HFSS ads] have been reviewed twice and were found to be proportionate to the evidence of TV advertising’s potential impact on children’s food preferences. "We remain sensitive to concerns in this area and have a commitment to consider developments in the evidence base to ensure that food advertising remains responsible and that children are protected." Retailers are also facing calls for more regulation after MPs said the government should limit discounting on HFSS food and ensure that the imminent levy exerted on sugary drinks is passed on to consumers. Andrew Opie, director of food and sustainability at the British Retail Consortium, supports in-store promotion regulation. He said: "This ensures all businesses do the same, overcomes legal restrictions on collaboration and avoids businesses being penalised for doing the right thing."